We love that Twentytú Hostel is so dedicated to sustainable tourism, in fact, they are the first hostel in the world to receive a the Biosphere Responsible Tourism certificate. 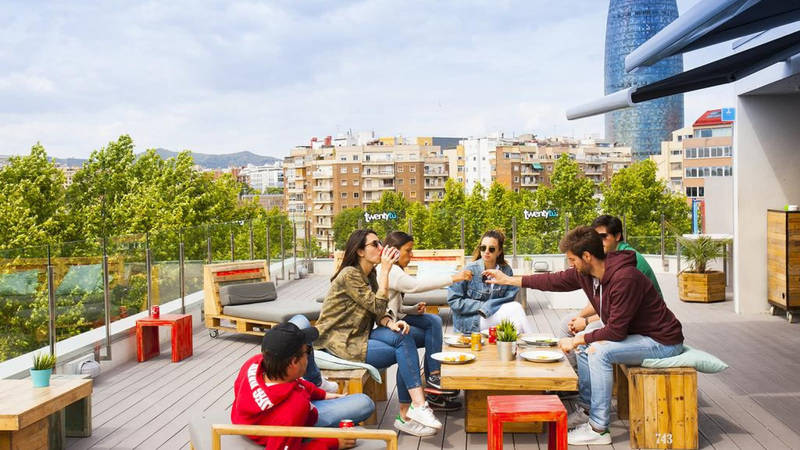 Don't miss the chance to relax with a drink on their beautiful terrace that overlooks Barcelona. This hostel is also very well connected so it is easy to get to the main sights as well as the beach!